Waterford-based aviation company Pentastar Aviation has appointed Scott Brooks as its first director of avionics solutions. 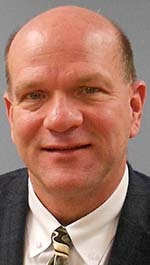 In his new position, Brooks will report to vice president of maintenance operations and advisory services Doug Levangie. He will be responsible for the development of existing product partnerships and the creation of new avionics solutions to support emerging avionics technology. Brooks, of Howel, has more than 30 years in the business aviation industry. He has experience in avionics design, testing, and certification of avionics systems found on multiple airframes. Prior to joining Pentastar, he served as principal regional sales manager for Rockwell Collins in Kalamazoo. Brooks studied electrical engineering at Orange Coast College in Costa Mesa, Calif., and Lake Superior State College in Sault Ste. Marie.